Choose from DreamWorks All Hail King Julien, Barbie, Beat Bugs, DreamWorks Dinotrux, Las Leyendas, LEGO Friends, LEGO Ninjago, Luna Petunia, Miraculous: Tales of Ladybug and Cat Noir, My Little Pony, Pokemon, Project Mc2, Skylanders Academy, DreamWorks Trollhunters and Word Party. 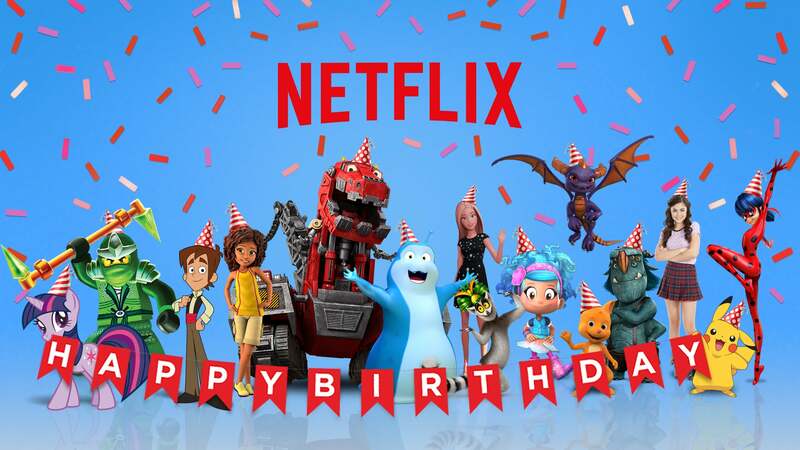 To find these videos, search the keywords "birthday", "birthdays", "Birthdays On-Demand" or "birthday songs" on Netflix. Here's a preview of the clips.